Samuel Castro-Muro faces criminal charges following a Nov. 17 crash in between Cornelius and Hillsboro. 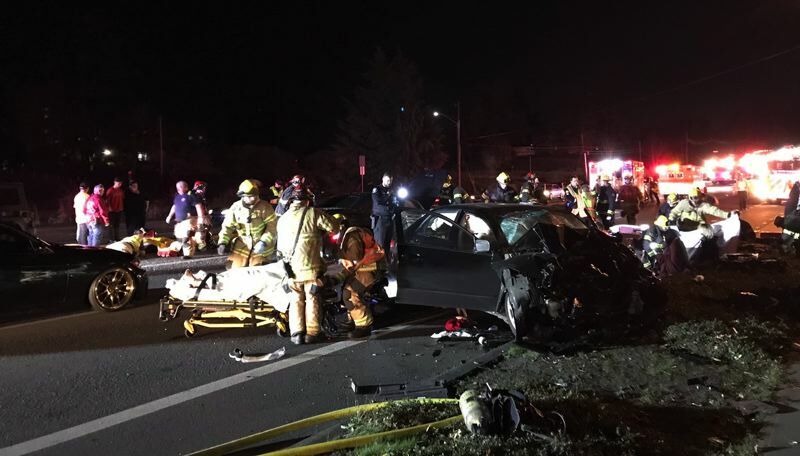 The driver of one of the vehicles involved in a deadly head-on collision last month in between Cornelius and Hillsboro is facing criminal charges, including a count of second-degree manslaughter, the Washington County Sheriff's Office announced Wednesday, Dec. 5. Samuel Castro-Muro, 38, a resident of Forest Grove, was reportedly arrested Wednesday by sheriff's deputies. He faces four counts of third-degree assault, five counts of reckless endangering, and reckless driving and second-degree criminal mischief charges, in addition to the charge of manslaughter. Al Hera Islam, a 25-year-old New Jersey resident, was fatally injured in the Nov. 17 crash. Crash investigators concluded that Castro-Muro's vehicle, a 2015 Dodge Challenger Hellcat, crossed the center median while driving westbound on Highway 8 near its intersection with Northwest 341st Avenue. The Dodge, in which Castro-Muro had a single passenger, struck an eastbound 2003 Honda Accord with four people inside. All six people involved in the crash were hospitalized with injuries. Islam, who had been a passenger in the Honda, died at the hospital. Castro-Muro was booked into the Washington County Jail but has since been released on bail, according to the Sheriff's Office.